A League of Legends pro team that has played since 2011 will reportedly not participate in the coming competitive season. According to a report from ESPN’s Jacob Wolf, Riot Games has declined Team Dignitas’ application to compete in the 2018 North American League of Legends Championship Series. The new North American LCS will host 10 franchised teams, at a buy-in of $10 million. Dignitas’ rejection means the team will lose its spot, and have to terminate or sell any player contracts extending past the Nov. 21 transfer period opening date. According to ESPN, Dignitas will be put in a compensation pool for an exit fee alongside other current LCS teams that don’t make the cut, made up of the extra fee that new incoming owners like Golden State Warriors owner Joe Lacob and son Kirk will pay. Dignitas will receive a minimum of six shares of the pool, three for each split since the team’s ownership change in 2016, according to the report. Team Dignitas has been tied with the Philadelphia 76ers since the NBA organization purchased controlling stakes in the team in 2016. Dignitas was also a founding team of the NA LCS since its inception in 2013, and by all accounts, had a solid showing in the 2017 season, taking fourth in the summer playoffs and fifth-sixth in the spring. 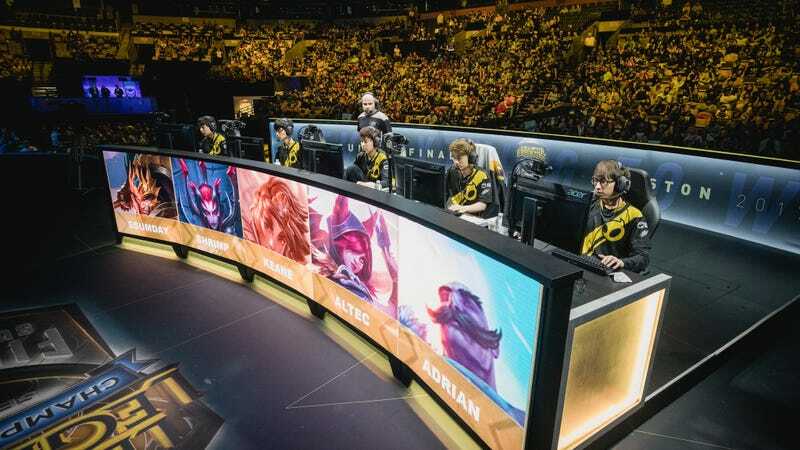 As one of the most established names in North American League of Legends, backed by a professional basketball association and certainly having sufficient talent to compete, it’s unclear what quality Riot Games determined Dignitas was lacking to make this decision.